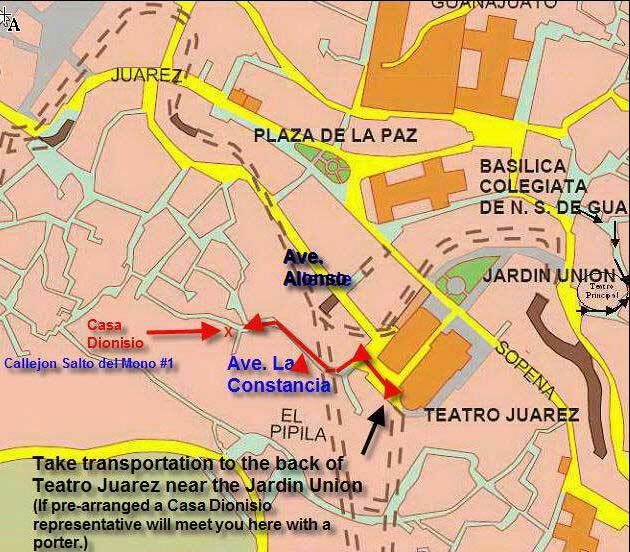 Here are several maps to help you get a clear picture of where we are located. 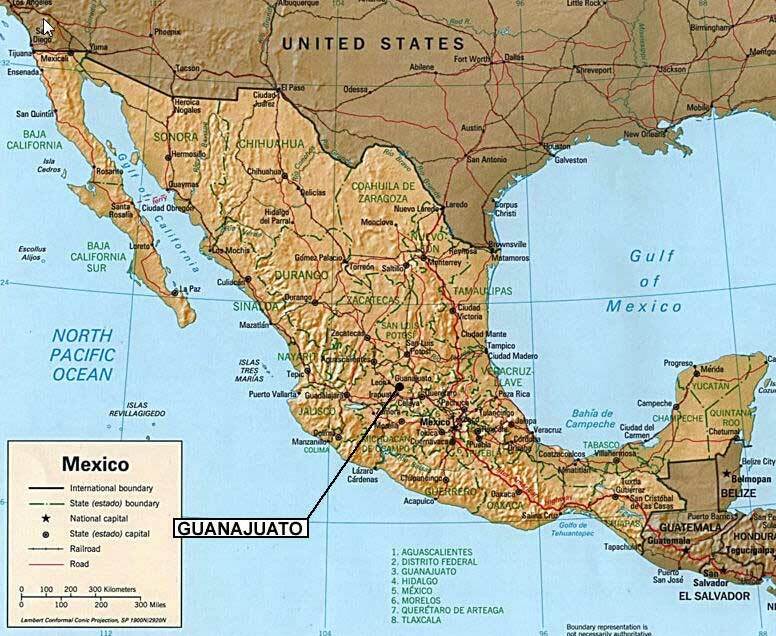 The maps are presented in increasing zoom levels from top to bottom and clicking on the thumbnail images will open a larger map in a new window. 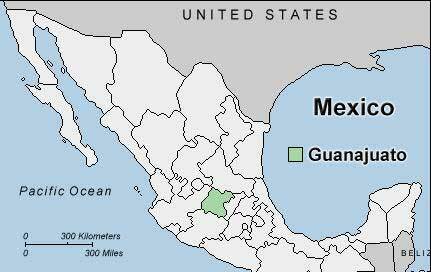 First let's locate the State of Guanajuato right in the heart of Mexico, shown here in green on the map. 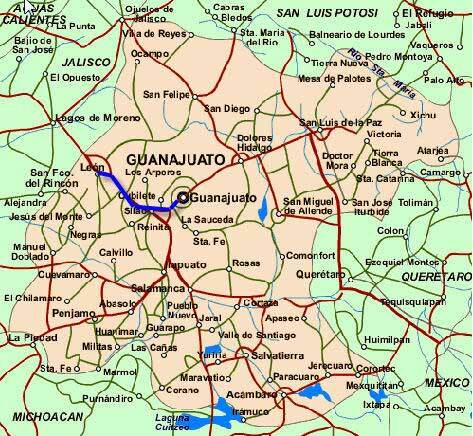 Now let's look at a map with a little more detail that will give you some idea of the various surrounding cities and the connections between them and put Guanajuato in context with the rest of the country. The original home of renowned painter Juventino Rosas has been completely renovated to the highest standards of international accomodation and boasts interior and exterior design true to the spirit and culture of Mexico.